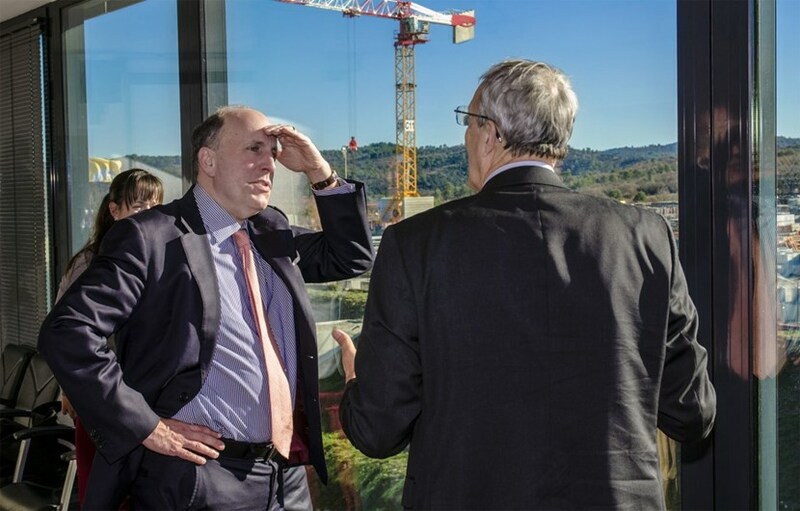 Five months, almost to the day, after the US Secretary of Energy Rick Perry visited ITER, his deputy, Under Secretary for Science Paul Dabbar, stood by the same vast windows in the Director-General's meeting room, taking in the same impressive view of construction progress. US Under Secretary for Science, Paul Dabbar, visits ITER on 10 December. Guided by ITER Director-General Bernard Bigot, the Undersecretary and his senior advisor Chris Fall spent a long time on the ITER construction site for a thorough visit of the buildings and factories. The Under Secretary and the Director-General had in-depth discussions on the recent progress of the project and the challenges ahead, both stressing the value of the large international cooperation and the importance of ITER as a core element of the US fusion research program.